For some time, Himalaya is constantly launching new products and it makes me happy because not only most of those work for me, who doesn't feel excited about new launches? 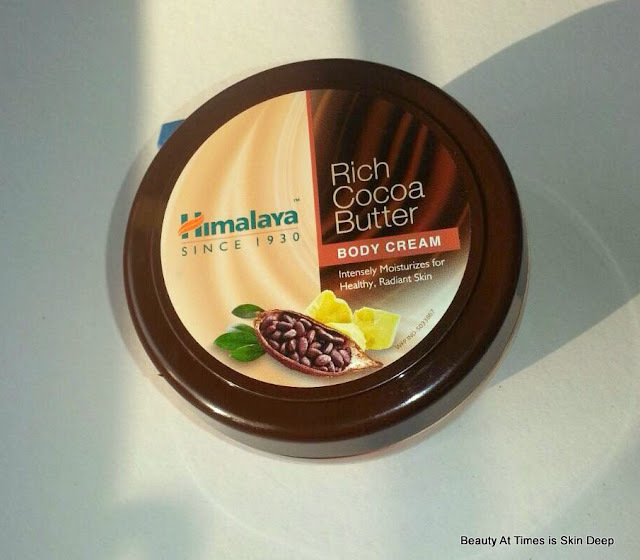 Himalaya launched their Rich Cocoa Butter Body Cream and call it luck, by the time it reached my place, I was travelling again. On a better note, since it's cold in Calcutta and moreover, since my parents also went for a trip by the seaside, my mother loved using it. So, I am posting this review based on her experience. The cream is white, dense, but not goopy or sticky. It comes in a plastic tub which I like because one can get everything out and also, after finishing the product, you can use these tubs for storing this and that. The tub also has an extra plastic flap preventing spillage. The cream is rich yet, it spreads easily and gets absorbed fast. It is not that kind of richness which simply rests on the skin without penetrating deep. The cream feels good on the skin. Cocoa butter is the key ingredient and the scent is mild. On my mum, the cream works for almost 16 hours, until next bath. 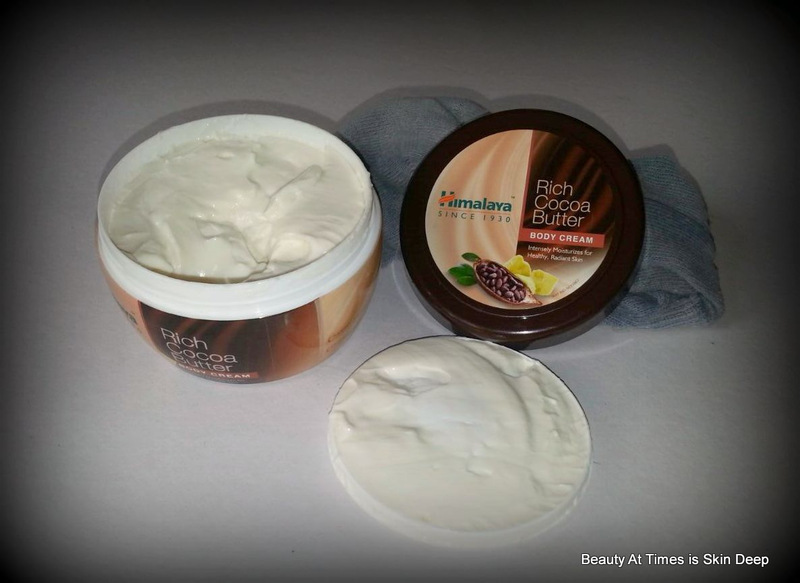 What especially to love about this rich cocoa butter cream? It works in winter for dry skin. Shall we repurchase? 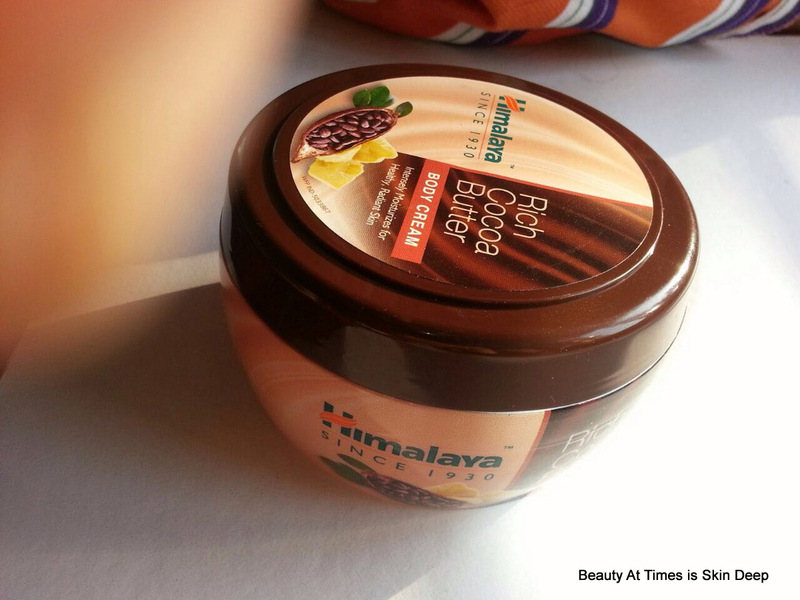 My mum would and so would I. I so badly want to reach out for this cream from Himalaya once more. 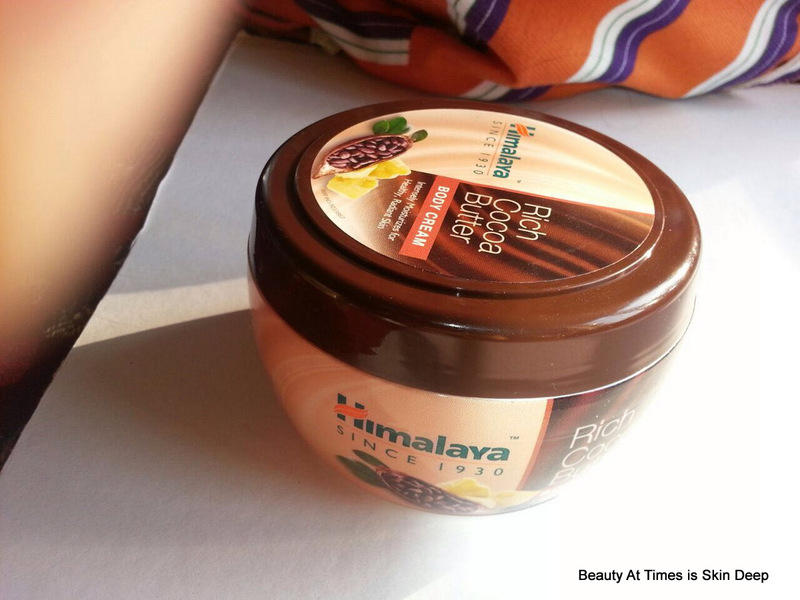 Have you tried the Himalaya Rich Cocoa Butter Body Cream yet? Share your thoughts on the same. Sounds like a great cocoa butter body butter from Himalaya. It's about time they came out with it. Packaging looks good and the body butter looks luxurious!